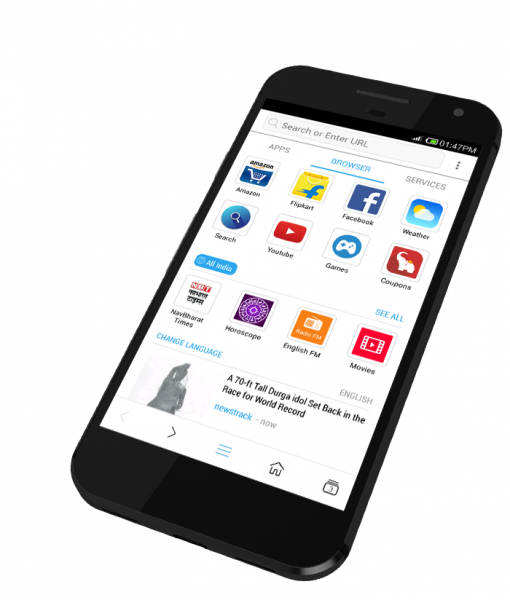 BlueSky Inventions has launched its Venus Browser for Android smartphones with features like browsing, app store, and services. Venus Browser is also the first Indian browser to provide hyper-regional content covering all major Indian states. It has a lightweight web platform and tackles the top-three consumer problems in form of low available memory, the discovery of applications and services and above all, access to hyper-local content and applications. Venus Browser is claimed to have uncluttered user interface for providing seamless access to over 50 content and apps for smartphone users. With 76% of rural India consuming content in regional language and urban India accounting for 66%, Venus Browser is catering to the trends of growing demand for regional content. With its plethora of integrated apps, it will address the consumer demand that is arising from 70% of the total usage of the internet coming from vernacular in form of entertainment content like music, videos or news. video content, including sports apps, business news and much more. All the content inside the app is regionally based on user preference and location. The user can do many things from this app like shopping, playing games, browse sites, listen to music, watch movies, etc. Currently it is available on Android but will soon be launched over other operating systems. According to the developer of this app, Venus Browser is the first Indian browser solution providing hyper-regional content covering majoring Indian states. The homepage is designed considering complex India demographics (29 states & 23 languages) & consumer behaviors. Homepage serves three different kinds of data to the consumer like India centric, selected state-specific content and latest news. Venus Browser provides top pre-installed apps to users thereby addressing the download challenges and memory constraints. It uses the advanced progressive web-apps concept to achieve this behavior.